Jeero is absolutely one of the most treasured things I own. 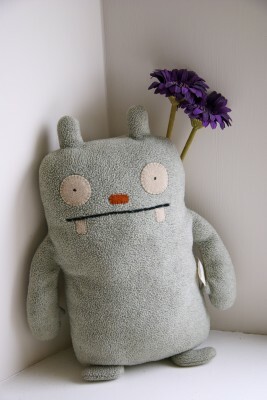 He’s an Ugly Doll. Mom bought him for me from the design museum in London and posted him up to me when I was in 1st year at uni. He’s been with me ever since. He’s just fab. He’s my comfort blanket. the wise. Well he’s not! What time is it? Jeero has no idea.